Bridal sarees are created specifically to make the bride to be center of everyone’s attention. Above all she must look the most beautiful on that special day. Indian bridal sarees have vast varieties. You can buy wedding sarees online in so many varieties, latest designs and materials. For a bride there are several options to choose according to their traditions. However, one option that stands out from the rest and will ensure that you look flawless and gorgeous is the Saree. Kanjeevaram sarees is the most famous South-Indian bridal saree. It is known for its color contrast. Temple borders, checks, stripes and floral booties are the designs you will find in a traditional Kanjeevaram saree. This saree is expensive because it requires interlocking of 3 differently woven cloths. Net sarees are most popular in North. Brides from North region prefer net sarees with different types of embroidery work on it for their wedding. Net sarees are transparent and come in so many vibrant colors for girls as well as brides also. We provide wide range of net sarees with different elegant styles. 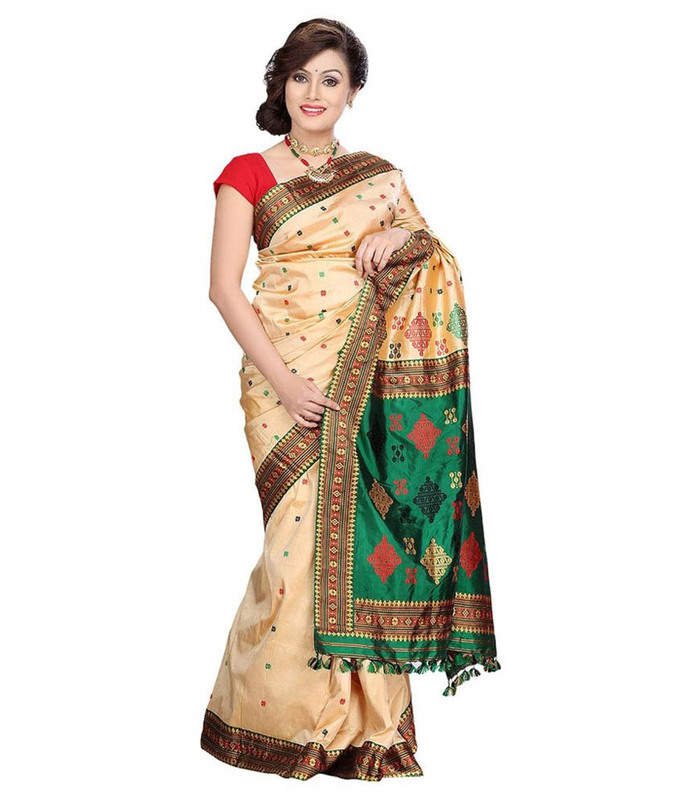 Assam silk is one of the finest silk sarees in India. The Assamese brides usually wear a white silk saree with red golden borders. It looks stunning on them. Shop online at Ranas.com to get new collections of Assam silk bridal sarees. Zardosi work sarees are kind of embroidery work sarees that can be done on both silk and net sarees. Zardosi work sarees are now most popular Indian traditional bridal sarees all over the India. Bandhani sarees are one of the most traditional in India. It has special kind of stoned and polka-dotted look that makes it amazing. Bandhani or bandhej sarees are traditionally worn by Rajasthanis and Gujaratis in wedding. There are more than 500 different varieties and styles of popular traditional wedding sarees at Ranas.com. Visit our traditional saree section to find stylish sarees for your perfect wedding. Check our exclusive Indian bridal saree collection featuring silk, net, georgette, bandhej with an art work of beads, embroidery, stone, floral prints etc on it. Nice Selection of Indian Traditional Sarees Online. I really like your blog as it is so wonderful to see. Sarees are the epitome of Indian diversity and culture. Saree has its own grace and charm. Women love to drape this beautiful outwear. Thanks for sharing. Designer saree for all wedding function can be widely available on fly2kart.com. addition to that one can find Salwar suit and Saree. Awesome Collection Of Wedding sarees ! Explore the exclusive collection of latest Wedding Sarees online at BigBindi. 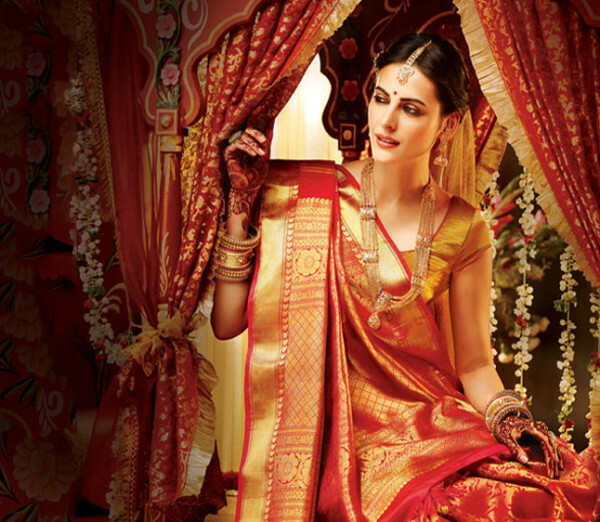 for a indian Bridal saree is the first choice that women wants. Surat Sarees at wholesale Price with affordable price.